Black rope sold in a 220m coil, on a handy reel and cut to length by the metre. 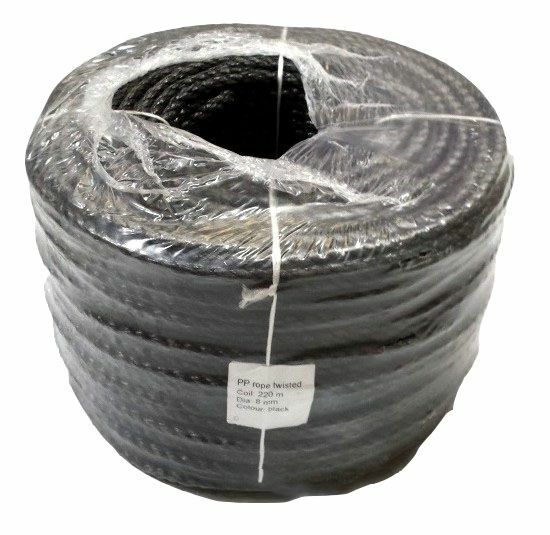 Manufactured for Ropes Direct by one of our European partners this polypropylene rope is strong, hardwearing and will not shrink, swell nor rot. Diameters available 4mm, 6mm, 8mm, 10mm, 12mm & 16mm. Superior yarn construction 3 strand rope. 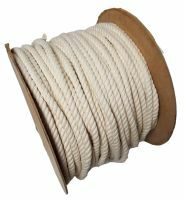 Whilst this rope is made from polypropylene it is still often referred to as nylon rope.